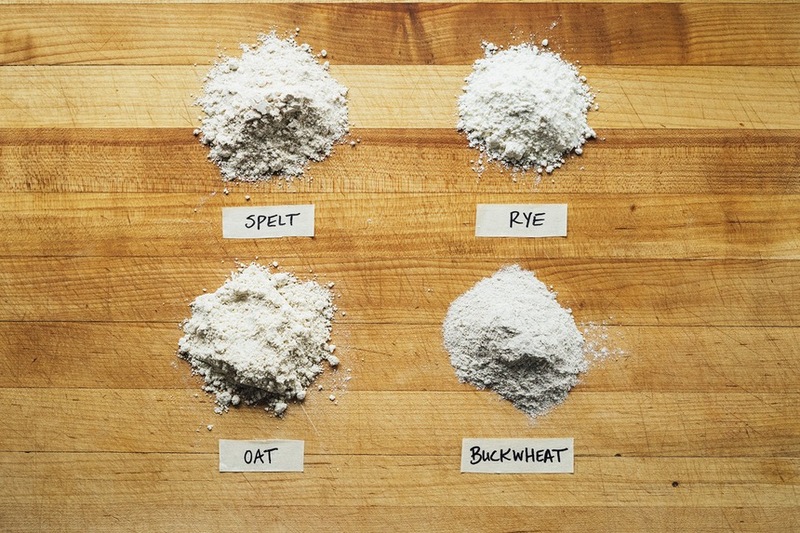 3 Healthy Pancake Mixes: Rye, Oat, & Buckwheat | What’s for Dinner? There’s nothing wrong with old-fashioned pancakes; but it never hurts to upgrade your brunch favorites with some new techniques. Boost the flavors (and nutrition) of ordinary flapjacks with these alternative bases. Don’t limit yourself to all-purpose flour! Explore new tastes and textures by swapping in one of these whole-grain flours instead. Each substitute can be found in the baking section of most grocery and health food stores. Spelt: Spelt is a type of wheat that’s an excellent source of protein, dietary fiber, B vitamins, and dietary minerals. Slightly darker than all-purpose flour, spelt flour has a sweet, nutty flavor. Rye: Similar to barley, rye flour is a common cereal grain with lower gluten content and substantially more fiber than wheat flour. It’s marked by a slightly sour flavor. Buckwheat: Despite its name, buckwheat flour isn’t part of the wheat family at all. It’s actually gluten-free. Cup for cup, it has about 100 less calories and three more grams of protein than all-purpose flour. Because of its light texture and earthy flavor, buckwheat is commonly added to pancakes, waffles, and noodles (like Japanese soba). 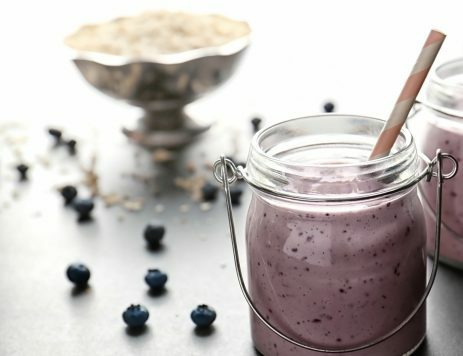 Oat: Oat flour is simply pulverized oats, making it an easy ingredient to make at home in a food processor. Boasting plenty of protein and healthy fats, oat flour is lower in carbohydrates than most other whole-grain flours and contains more soluble fiber than any other grain. Much like oatmeal and spelt, oat flour has a sweet, nutty flavor. 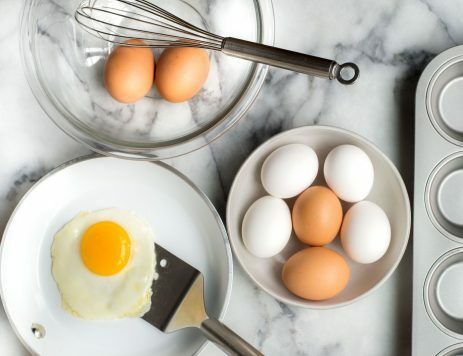 Tip: It’s best to mix in equal parts all-purpose flour and whole-grain flour to keep the batter from becoming too dense. American Buttermilk Pancakes: Fluff up your traditional pancakes by adding a larger dose of liquid and two large eggs per batch. Dutch Baby Pancakes: Bake egg-rich batter in a buttered cast iron pan for a decadent Dutch baby pancake that’s as versatile as it is delicious. 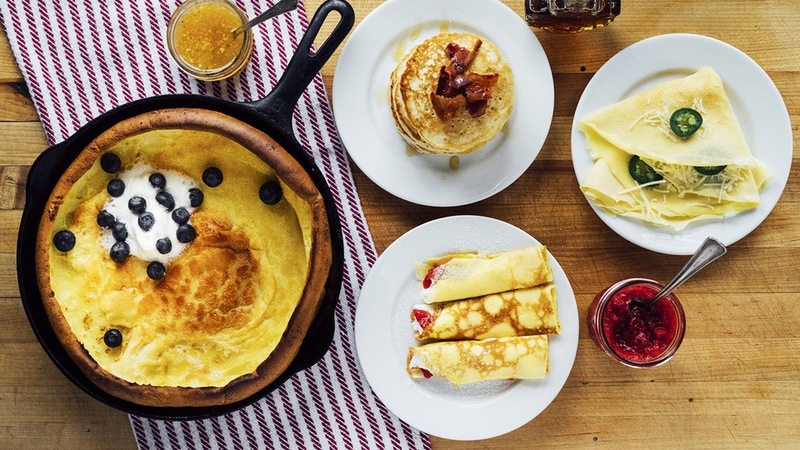 Crepes: For traditional crepes, add three eggs and two cups of milk to one cup of flour, creating a thin, springy texture that can be rolled with soft cheese and fruit, thinly sliced ham and gruyere, or Nutella and banana. 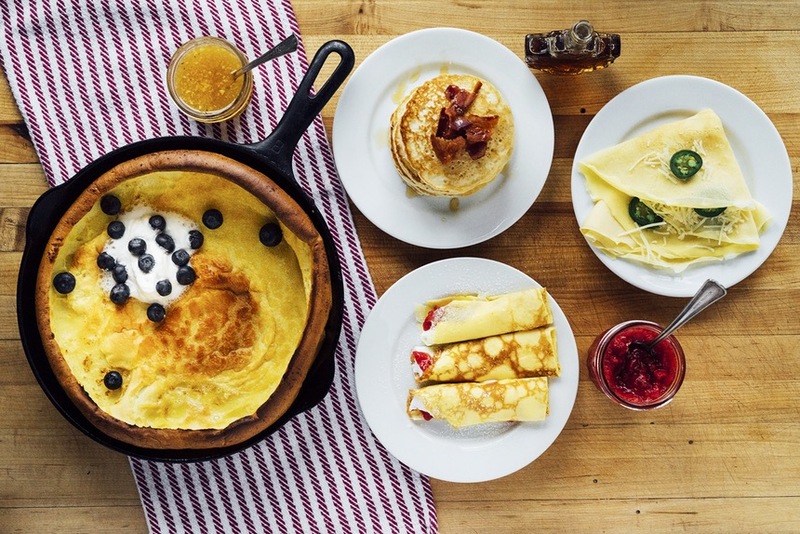 Swedish Pancakes: Whip up a standard batch of pannkakor with four eggs, two cups of milk, and only a 1/2 cup of flour. The texture should be somewhere between omelettes and pancakes, and are ideally served with whipped cream and jam. Shredded cheddar and scallions: Take a page out of the omelet playbook by adding a sharp cheese and spicy onion. Serve with butter and a drizzle of honey for a sweet and salty combo. 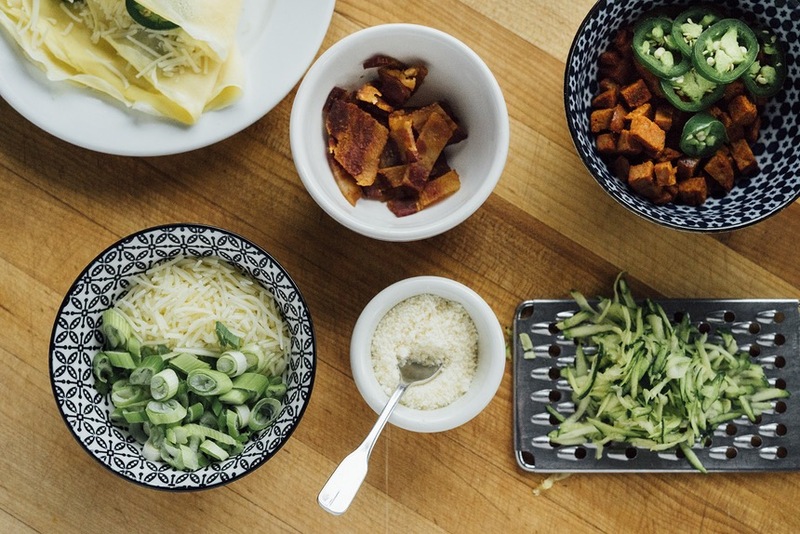 Thinly-shredded zucchini and Parmesan: This is a little nod to the classic Italian combination of sweet summer squash and salty Parmesan cheese (and a great way to sneak a few veggies into your kid’s diet). Try it with a dollop of crème fraiche or a swipe of sweet tomato jam. Crispy bacon bits: Pancakes and bacon are a surprising but classic combo. The salty, rich pork plays off the mild sweetness of pancakes and pure maple syrup. Thinly-sliced jalapeños and chorizo: This Mexican-inspired pairing adds a spark to regular pancakes. Spicy, savory, and strangely addictive, these pancakes are delicious topped with a fried egg and a dash of hot sauce.